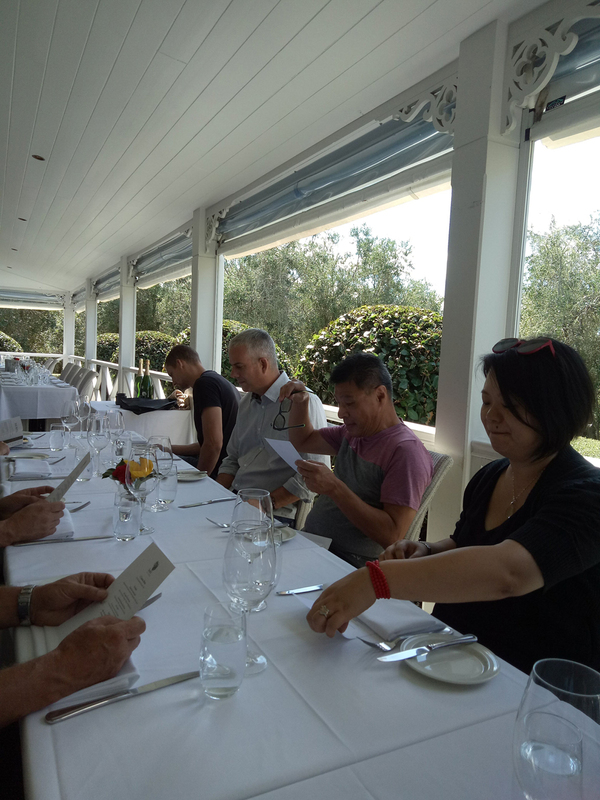 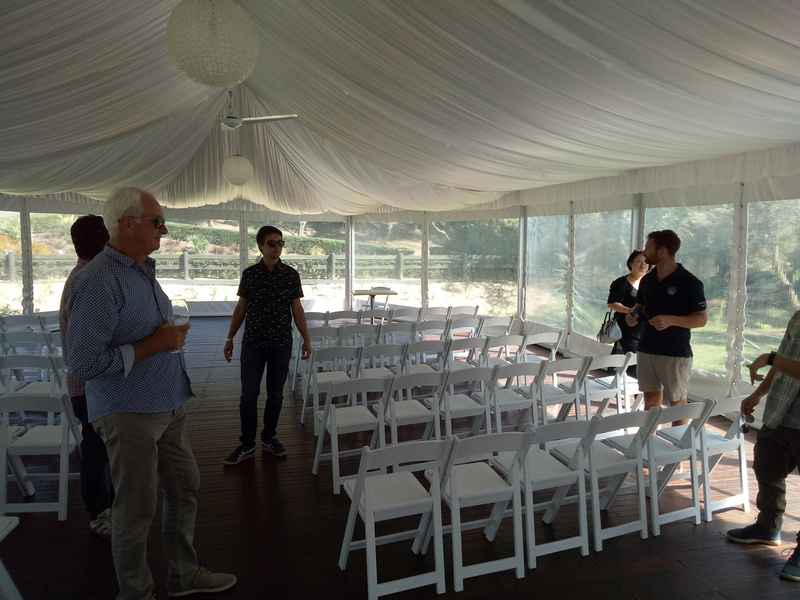 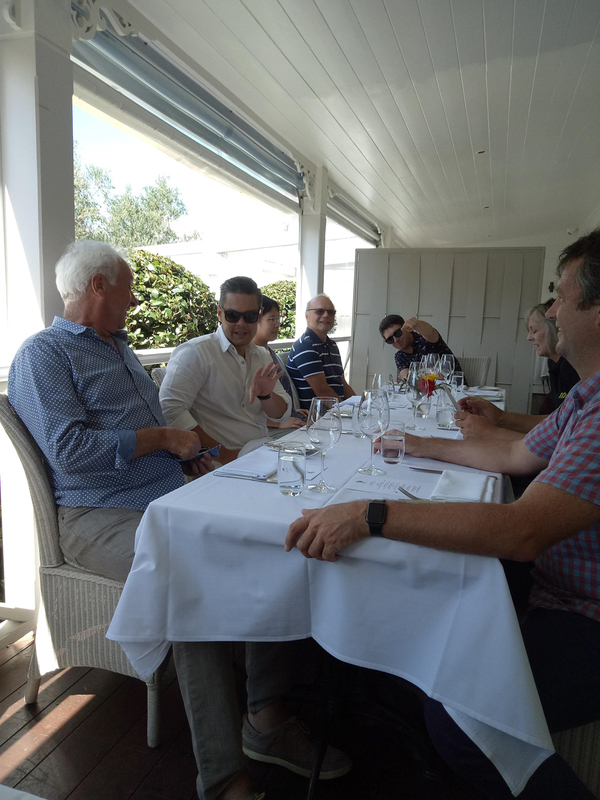 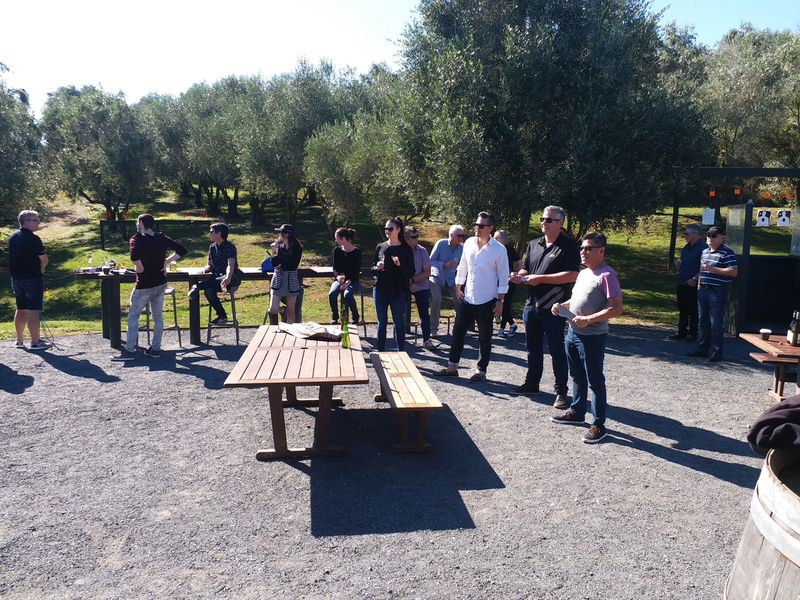 The 2019 Ashton Mitchell Big Day Out took the Ashton Mitchell team to the scenic Simunovich Olive Estate and tasteful Bracu restaurant. 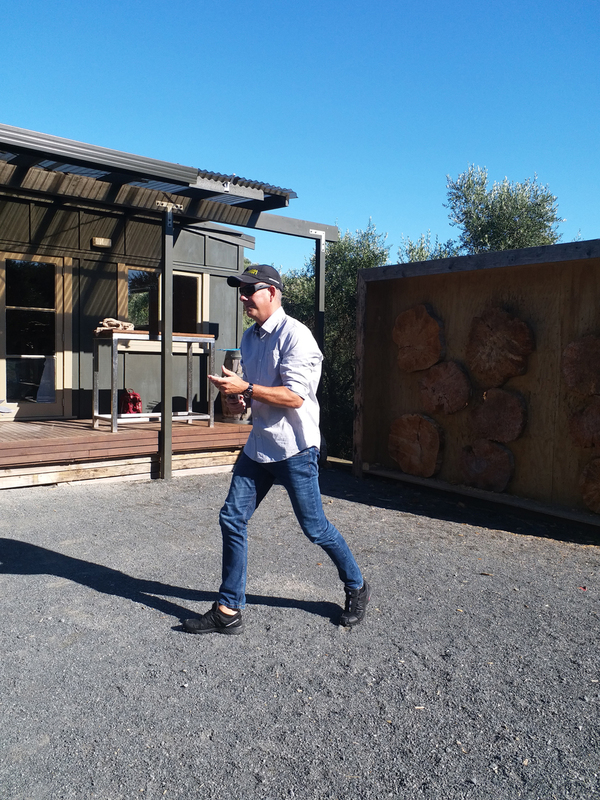 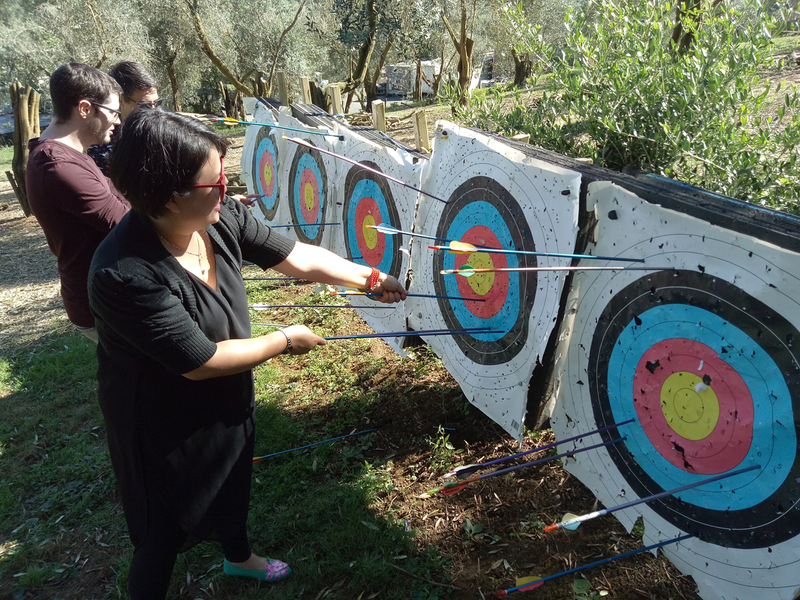 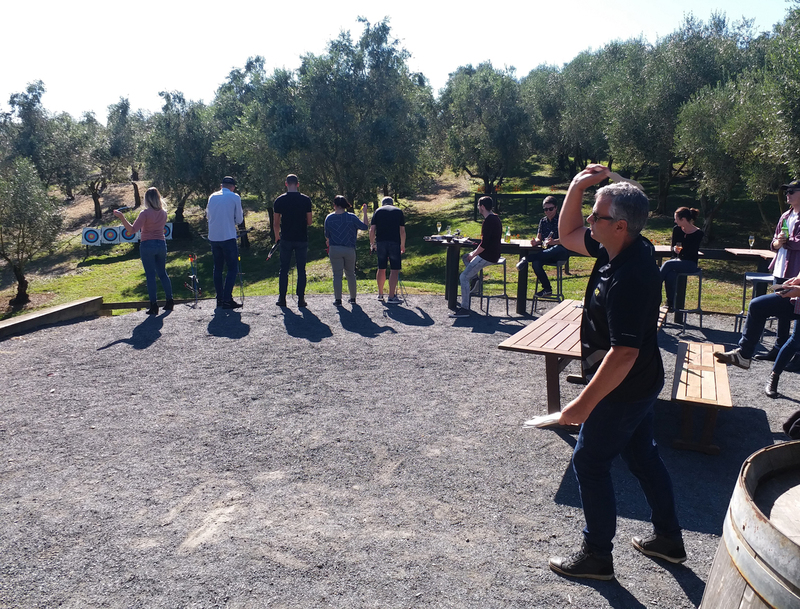 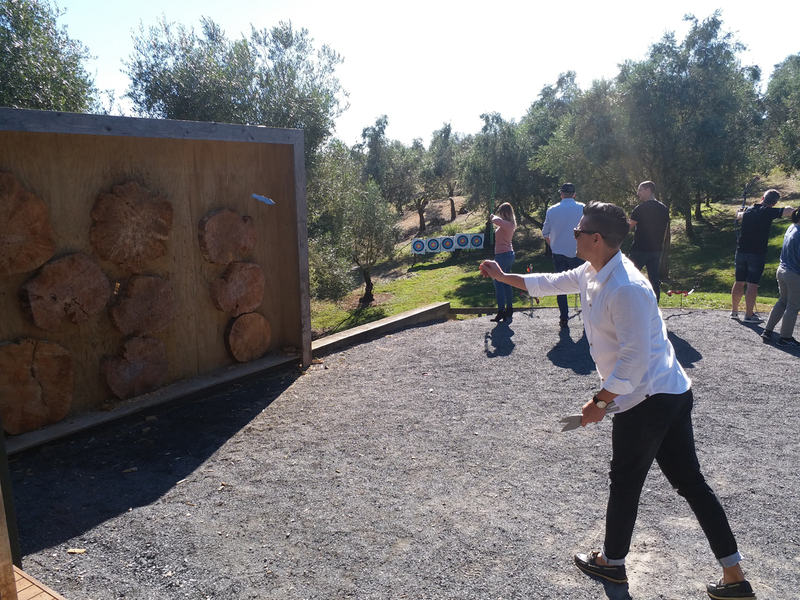 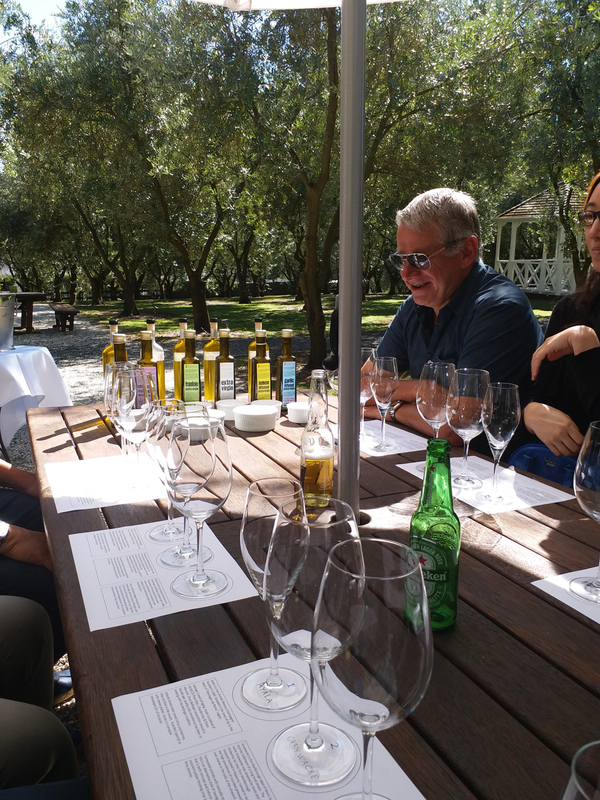 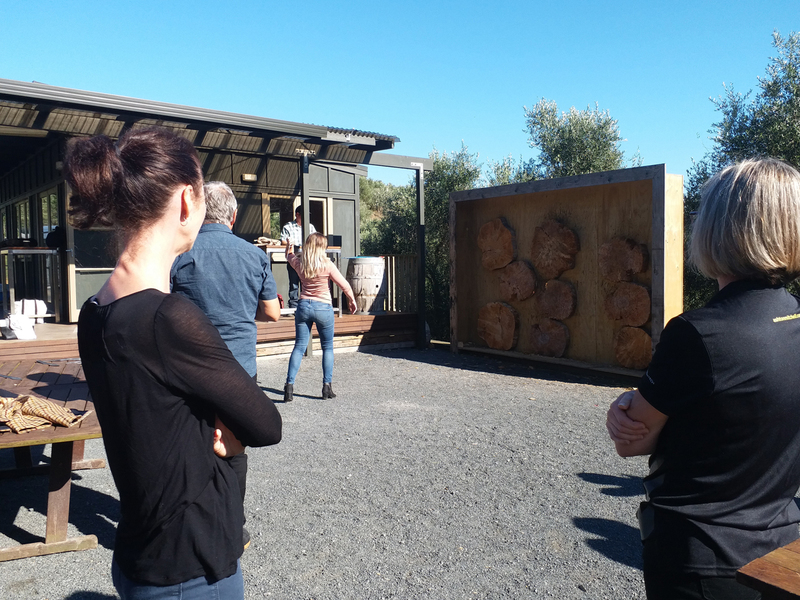 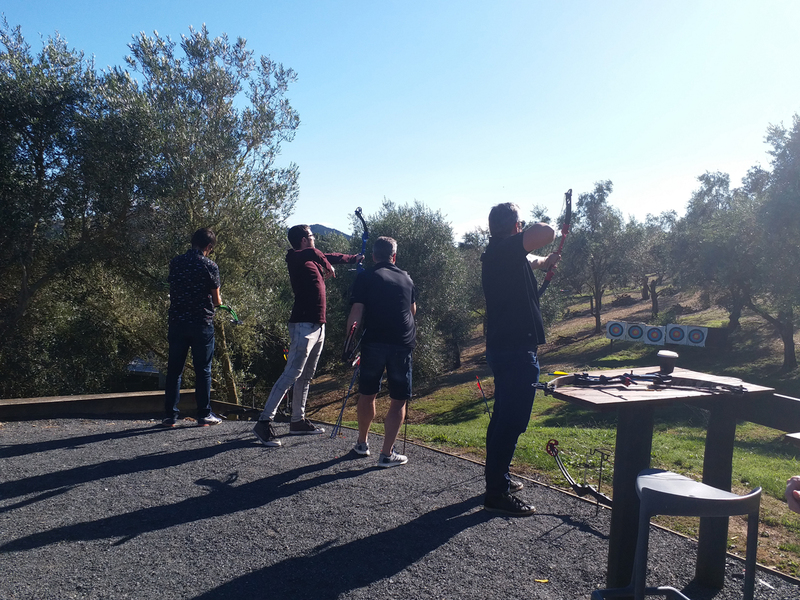 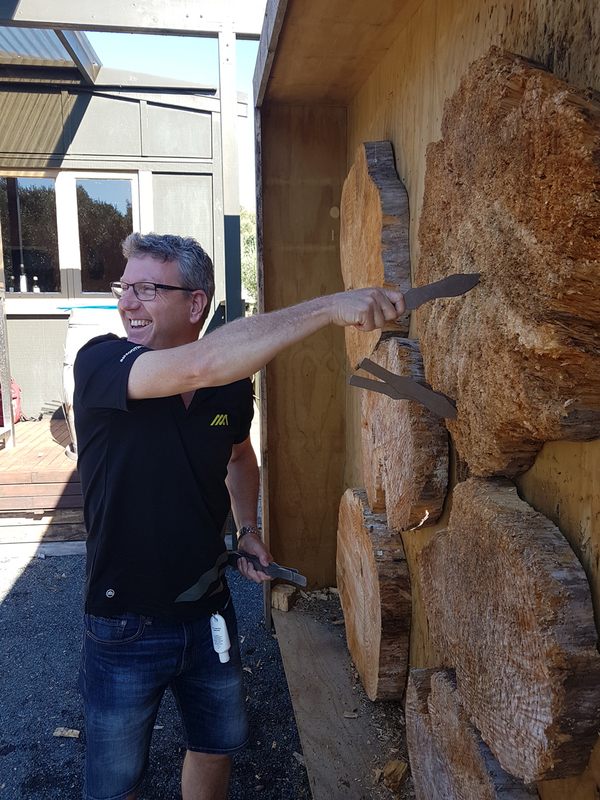 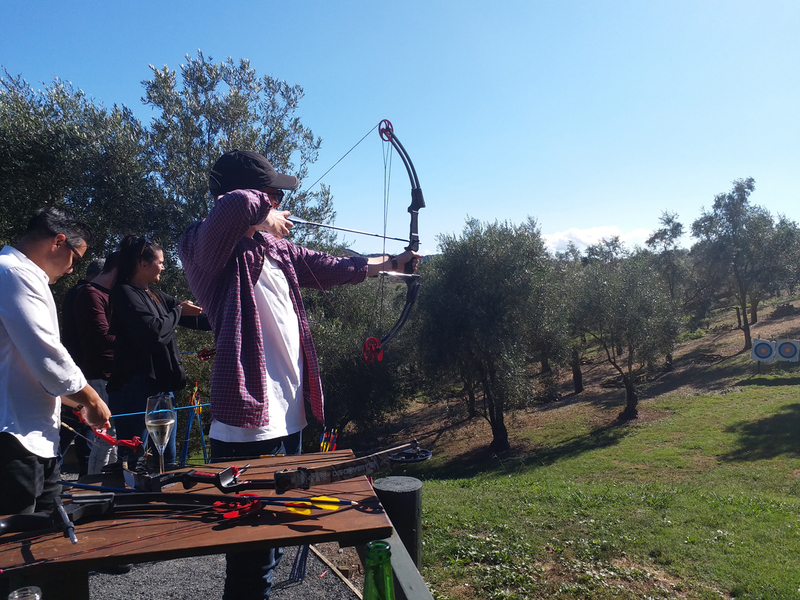 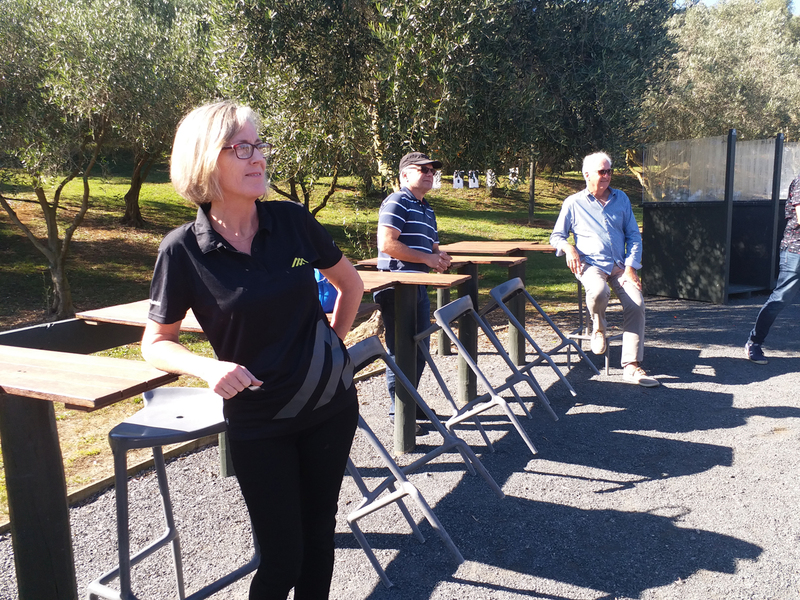 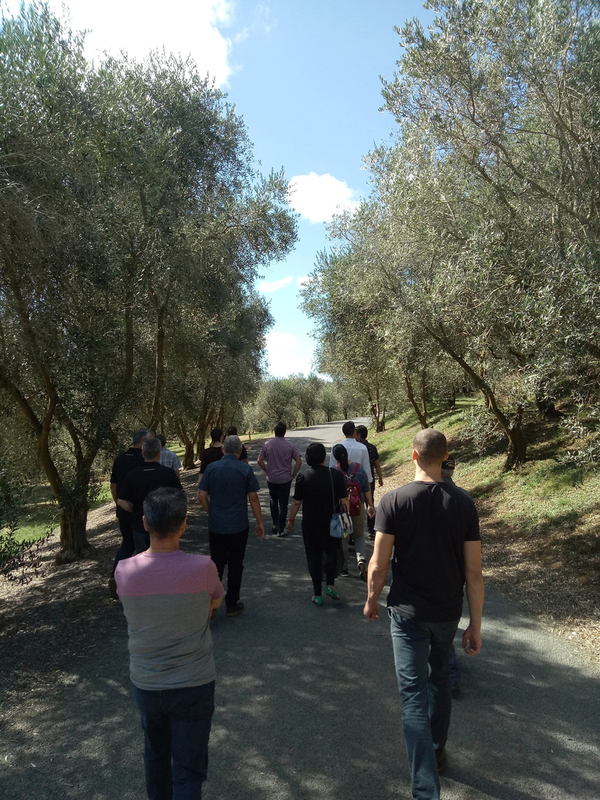 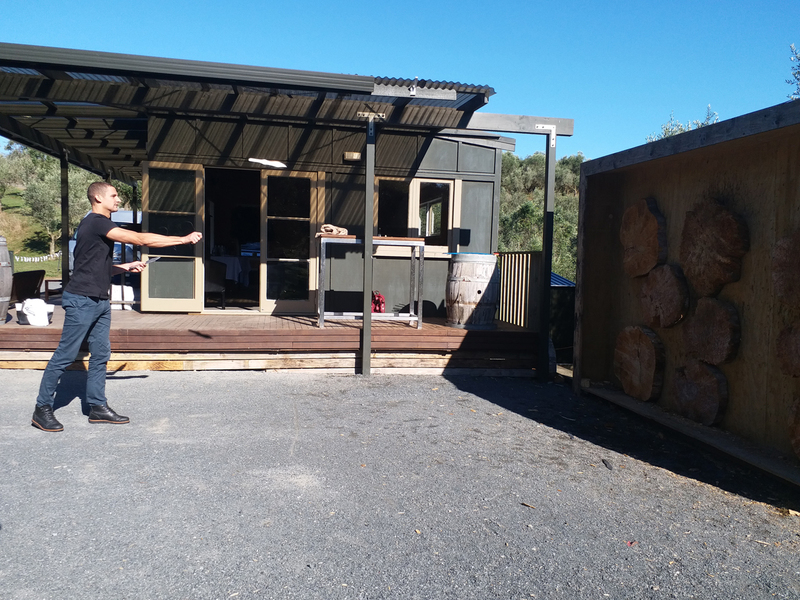 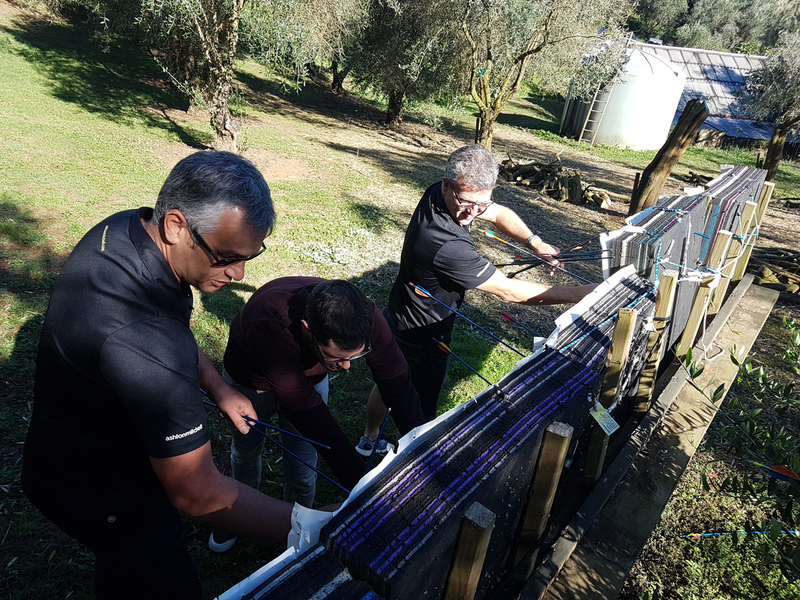 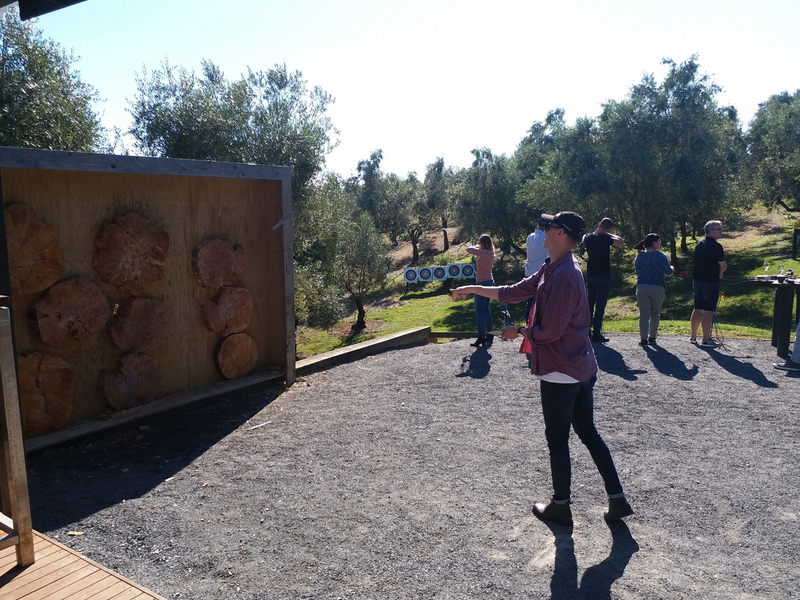 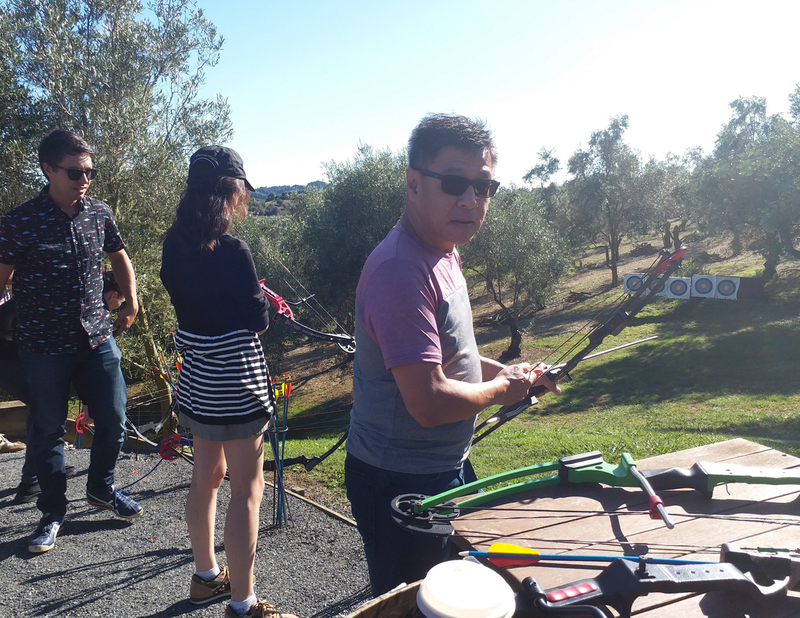 Wanting to catch the last of summer, the olive estate provided a chance to make the most of the fine weather by getting involved in a wide range of outdoor activities including archery, knife throwing, an estate tour, wine and olive oil tasting and finally an elegant lunch. 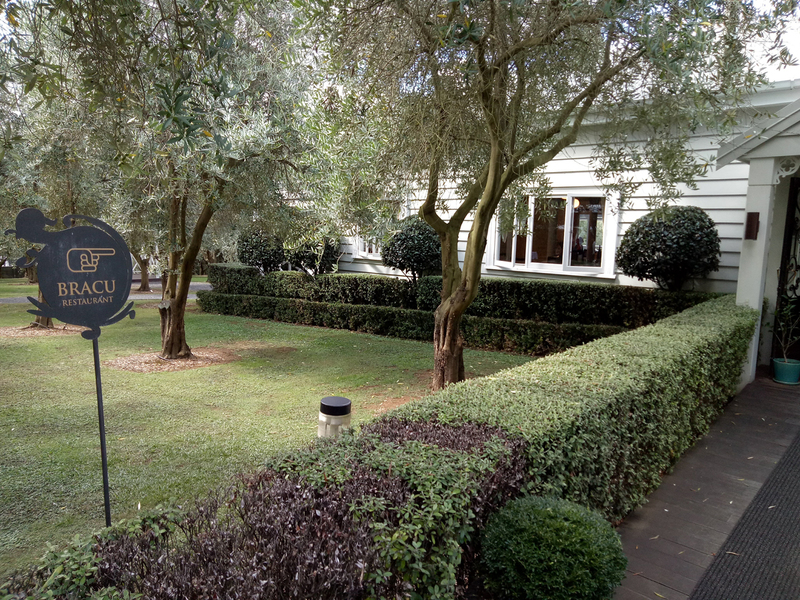 The Simunovich Olive Estate is located in the Bombay Hills and is home to the renowned Bracu Restaurant, Bracu Pavillion offering wedding venue options and a range of Berretta type activities all within the property. 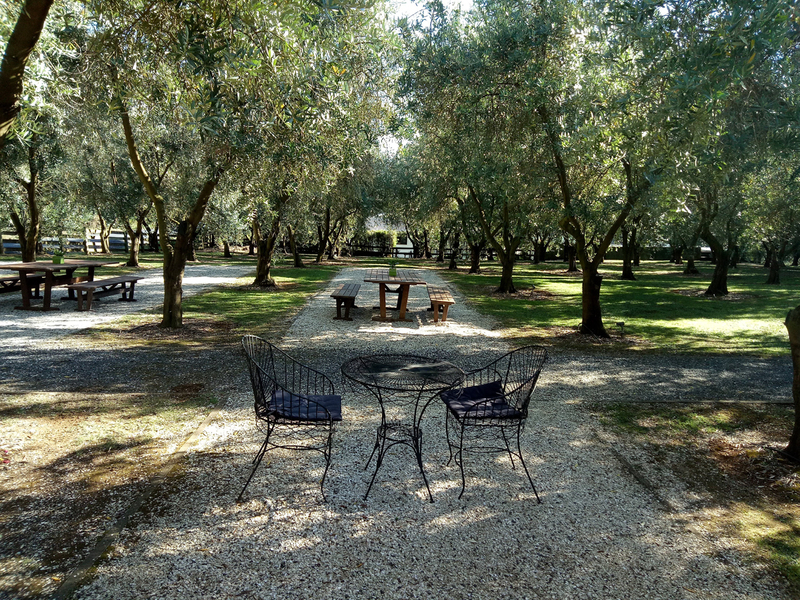 The Estate, along with offering wedding venues and a restaurant, produces premium quality extra virgin olive oil and an extensive range of olive-based skin care and beauty products. 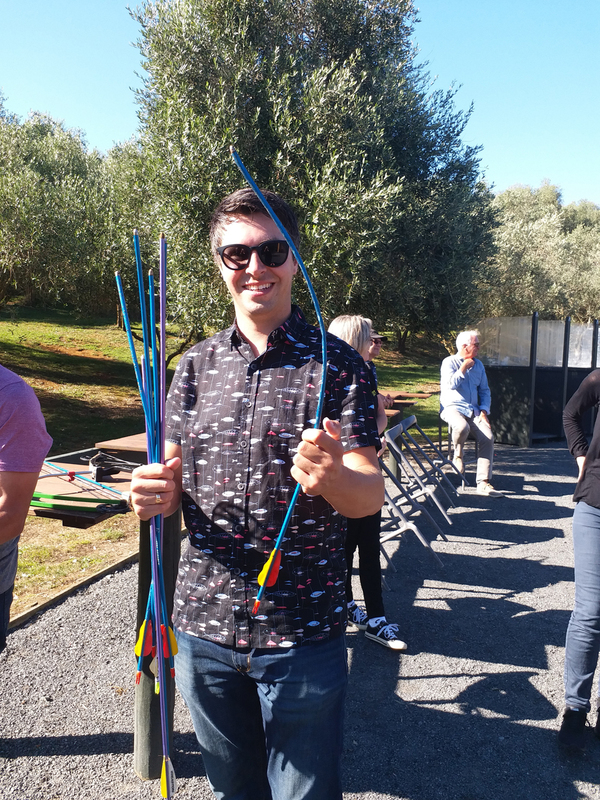 The day’s Berretta activities provided for lots of laughs, smiles and brought out a few competitive streaks with those trying to beat the previous efforts at knife throwing and archery. 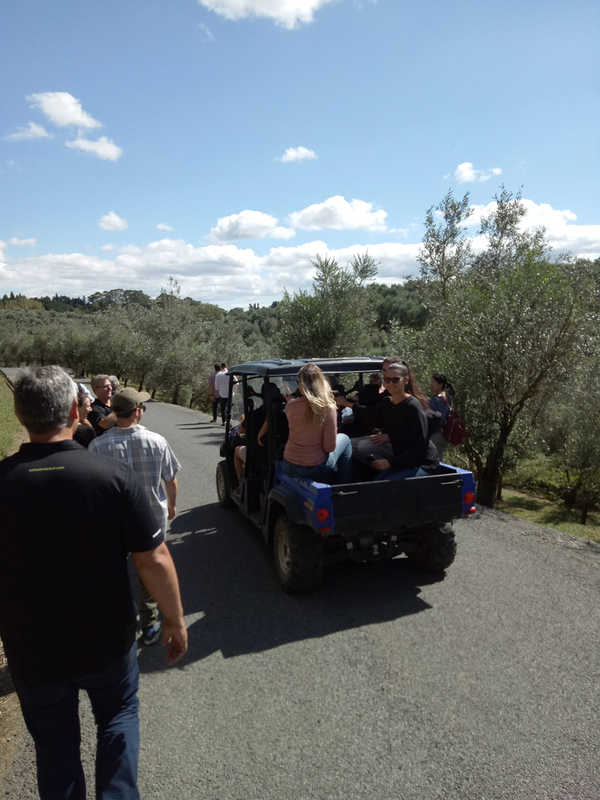 The Olive Estate and factory tour provided an insight and educated the unique process and flavours that olive oils can produce or be infused with, how they were produced differently and what they are each to be best used for. 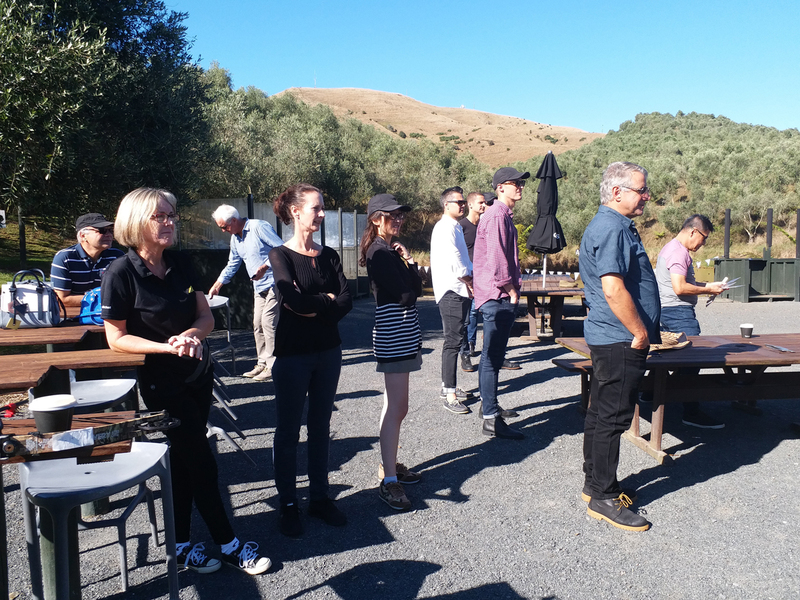 The team wish to thank Helen for arranging a thoroughly enjoyable outing, and Ashton Mitchell for providing the chance to take part in an entertaining day after what has been a tragic week for New Zealand. 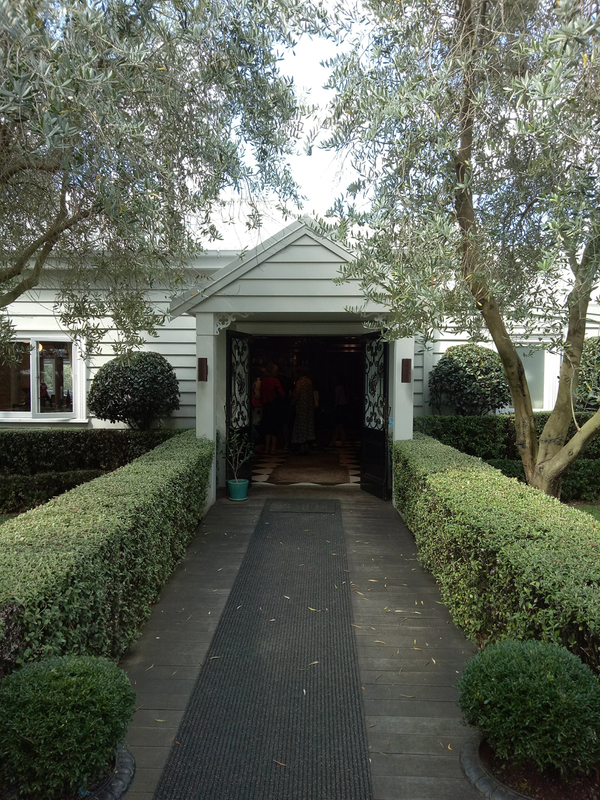 15-03-2019.